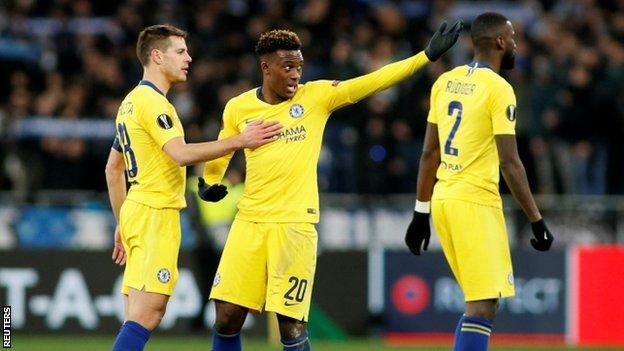 The club reported that the 18-year-old heard monkey chants during Chelsea’s Europa League win at Dynamo Kiev on 14 March, which Uefa is now investigating. After the Montenegro win, which was Hudson-Odoi’s full England debut, the winger described the abuse – also targeting Danny Rose and Raheem Sterling – as “unacceptable”. Hudson-Odoi said after the Euro 2020 qualifier: “When you are hearing stuff like that from the fans, it is not right and it is unacceptable. Hopefully Uefa deal with it properly.